You are here: Home / Disney / Beauty and the Beast coloring sheets! Beauty and the Beast coloring sheets! 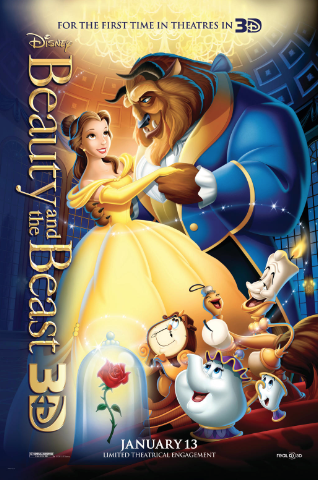 Beauty and the Beast is returning to theatres on January 13th, 2012 for a limited time in 3D!! I know we will be first in line when it comes out since we watch Beauty and the Beast about 6 times a week and have since Kendall was about 4 months old. It has always been one of my favorite movies and now both my daughters absolutely adore this movie. In honor of the movie’s 3D return here are some coloring sheets that are free to print out! Just click on the picture and it will open a PDF file. For all things Beauty and the Beast and for any updates you want – follow the official Beauty and The Beast Facebook page! thanks for sharing this! My son just went to a local production of the broadway musical version of Disney’s Beauty & the Beast and LOVED it. I think he’ll really love these coloring pages! I heart me some B&B. Took my daughter to see it in theaters when it came out. My kids LOVE Beauty and The Beast! I love these coloring sheets! My 5yr old is a Beauty & The Beast fanatic!! Great way to fill the time! My children are going to LOVE these! Aw, I love beauty and the beast! I might just print these out to stick in my niece's stockings with some crayons! We LOVE Beauty and the Beasr! Thanks for these.